The simple answer to this question is yes, an increasing number of graduates are now choosing the contracting lifestyle over more traditional graduate jobs in the UK. A study by the online freelance website, Elance, of more than 1,000 graduates in the UK, shows that over 85% of graduates with a first or second class degree consider contracting to be a ‘highly attractive and lucrative career option’ and 29% said that contracting is part of their career strategy in the next five years. PeoplePerHour, another similar website, also found that the number of graduates opting to become self-employed has more than doubled in the past year with an abundance of graduates now signing up as contractors, freelancers and small business owners. Why are graduates choosing to go contracting? 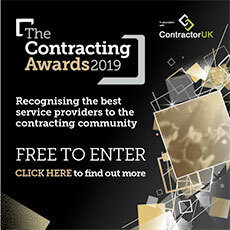 There are many benefits to becoming a contractor; however Elance found that the flexibility and independence of contracting were the most important factors to graduates. More than two thirds of graduates are drawn to contracting for these reasons as the freedom of being your own boss and choosing when and where to work presents to them a better work-life balance than a traditional career path. Findings also show that over a third are mostly attracted to the opportunity of earning more money, and another third said that being able to have a variety of work was most appealing to them. For a significant number of graduates contracting is also used as a stepping stone into permanent employment or a way of exploring the workplace before deciding on their long-term career. Working on a variety of assignments can give you a greater wealth of experience than a permanent employee, not only in your chosen field but also in different company cultures, with different processes, structures and operations. This experience and insight means that progression will most probably be much faster and is also likely to give you the edge over your permanent counterparts. 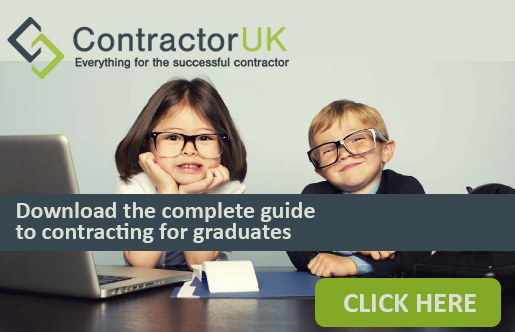 How should graduates go about becoming a contractor? One of the first things you need to do to become a contractor is to set up your new business in a way which will minimise your tax liabilities, maximise your income, and make it easy for customers to deal with you. If you have decided on contracting as a long-term career option then setting up and running a limited company, where you become a director and shareholder, is the most tax efficient way of working. Running your own limited company means that you will have complete control over your financial affairs and will also benefit from being able to claim back a wider range of expenses, and having access to the flat rate VAT scheme which allows you to keep some of the VAT you receive. You must also keep in mind though that there are legal obligations and paperwork to be kept on top when running a limited company, but a good contractor accountant will help minimise the time you need to spend doing this. Another important point is to separate yourself from the business, for instance with money; the business bank account belongs to the business not the individual. For those who do not want to get involved with the administrative duties associated with running a limited company, or those that are only looking to contract in the short-term, you may decide to contract through an umbrella company. Umbrella companies take responsibility for invoicing, paperwork, collection of money due and payments to contractors minus tax and national insurance deductions, meaning contractors effectively become PAYE employees again. However, this route offers fewer benefits for contractors in terms of reducing tax liabilities and you will also be required to pay a service fee to the umbrella company. If you are still unsure which route you want to take then take a look at our first timer guides for more information. What opportunities are available for graduate contractors? Just a few of the contractor skills in high demand by businesses in the UK include translation, article writing, blogging, graphic design, PHP and HTML, and the most popular skill sets advertised by graduates on PeoplePerHour last year were mobile app development and web design. There are countless opportunities for graduates to contract in the IT market and there is the potential to earn more money than in permanent IT roles. For example with skills such as PHP, the average daily rate for a contractor is £325 which more than doubles the average salary for a permanent employee at £35,000. For a much more detailed step-by-step guide to contracting for graduates please click here.